As usual, Tom Shepstone has put together another great weekly review of the fast moving Shale Revolution. Tom’s ongoing Fracking fact checking is invaluable for unmasking and unveiling the work and workings of some environmental plutocrats. For example, “We will continue to work to protect communities from the threat of fracked gas pollution,” said Sierra Club attorney Nathan Matthews. The corruption of super rich fractivists is hidden behind a facade of charity and community, but they are the anti-fracking movement, such as it is. Back in the day, proving corruption was relatively easy. A search warrant lead to bundles of cold cash in a Ziploc in the freezer. 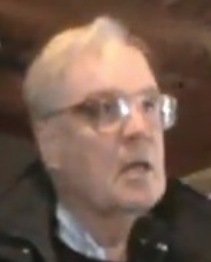 Perp walk the crook in front of the press and . . . it was over. Much tougher nowadays in a world of dark money, pass-through foundations, off shore accounts, and 501(c )(3)s. You have to connect the dots. Therein, lies the tale of public opinion on fracking in New York. The super rich fractivists know how you should live. To “help” you live right, they’ve set up charitable foundations to push their ideas for a better world. You’ve heard their names: the Rockefeller, Packard, Hewlett, Heinz, Park and Schmidt Foundations and a conglomerate of others bundled together by the Environmental Grantmakers Association. Don’t try to join; membership is by invitation only. Some of what they do is admirable. Who’s against clean water for sub-Saharan Africa? But, also on their agenda is a world powered by renewable energy. In the abstract, another admirable goal. Maybe someday. However, in the real world where people live and work, it’s technically impossible in the near term, even with massive, market-distorting government (ie., taxpayers) subsidies. Attempted in Europe, particularly in Germany, we now find the Europeans backing away, due to the huge deficits and skyrocketing electric bills for Johann Q. Public. German electricity sold for 35 cents per kilowatt hour (kWh) in , about three times the average in the USA. Ideology trumps everything for the super-rich fractivists. What really throws them is the FACT that cheap, abundant, domestic natural gas LOWERS costs while CLEANING the air. CO2 levels are down to 20 year lows in the USA while they’ve RISEN in Germany the last three years. Environmentally or economically, there’s no comparison between gas and renewables. Gas wins. Bummer for the super-rich fractivists and their plans for us. What to do? Through their foundations, the super-rich fractivists fund phony science and a chorus of media flacks who trumpet the phony science findings. This noise, in turn, chums the street activists (often similarly funded) who earnestly quote the phony findings at meetings and forums. Eventually, the noise rises through the grates and hits the mainstream media. 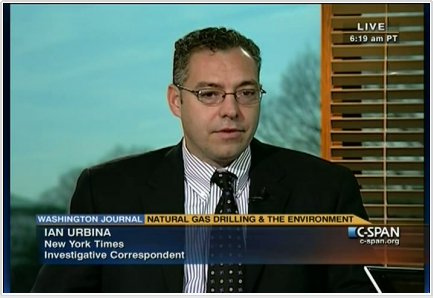 Here’s one instance of how it worked: Ian Urbina of the New York Times runs a series of articles generally attacking gas development, liberally quoting from the tainted and questionable sources such as interns. The Times ombudsman has to challenge these articles. Concurrently, a series of academic studies and statements from agencies refutes Urbina’s findings. Doesn’t matter: mission accomplished. The “news” reached the New York Times, the gold seal of journalistic approval. Repeat this scenario over and over. Repetition moves the needle. Fringe opinion becomes perceived wisdom. That’s what’s happened in New York to date. The unemployed sociology major in Brooklyn who writes polemics against fracking is funded by billionaire money. No way is he joining the billionaires at their table at Le Cerque but he’s part of their circle. In summary: the 1% of the 1% are ideologically and financially (yes — $$$) invested in renewables. They oppose gas development because gas is too affordable, therefore threatening expensive renewables. The billionaires need to fast track renewables with government (ie. your money) bankrolling their ideology. This way, they get a guaranteed return on investment (ROI in investment-speak) on your dime. If the electric bill triples to German levels, so what? They got trusts; they got hedge funds. They‘ll make it through the winter.Doesn’t Dolce and Gabbana make blankets? Protest at Dolce & Gabanna store in Hong Kong over photo ban by wealthy Chinese officials who didn’t want citizens seeing them shop for luxuries there. Meanwhile, their pass-through foundations keep you misinformed and them well insulated with their hard-to-trace money. Phony science from academics with an agenda, frack attacks in the fringe media, a compliant press, and an army of zealots, all supported by a serpentine daisy chain of funders. For more information, check out Gas Heat by Jon Entine, Philanthropy Roundtable, Summer, 2014 and Chain of Environmental Command: How a Club of Billionaires and Their Foundations Control the Environmental Movement, and Obama’s EPA – Minority Staff Report, US Senate, July 30, 2014. Last year at Morris, the Natural Resources Defense Council, one of the daisy chain foundations with its own special interests, offered two Columbia University-trained lawyers and a community organizer to our local antis. Think that money came from a pass-the-hat at a church supper? Do you think Riverkeeper survives on subscriptions? Oh, for the days of simple corruption, the quaint bundles of cash in the Ziploc bags! So much easier to understand than the billionaire anti-frackers’ three-card monte.